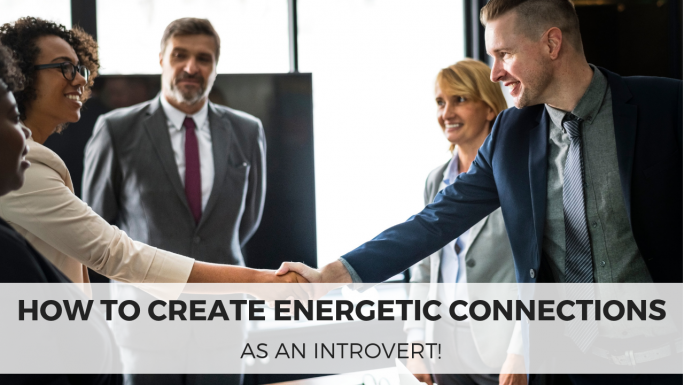 Networking is a crucial component to our success as entrepreneurs, but for introverts, networking and relationship building can be a challenge. Days filled with meetings, lunches, and other face-to-face interactions can leave us feeling exhausted and drained. For me, these past few weeks have been a whirlwind. My days have been filled with client calls, webinars, group coaching sessions, and coffee dates. Since I’ve been back in the office, I have had face-to-face meetings, either in-person or via Zoom, every single day. 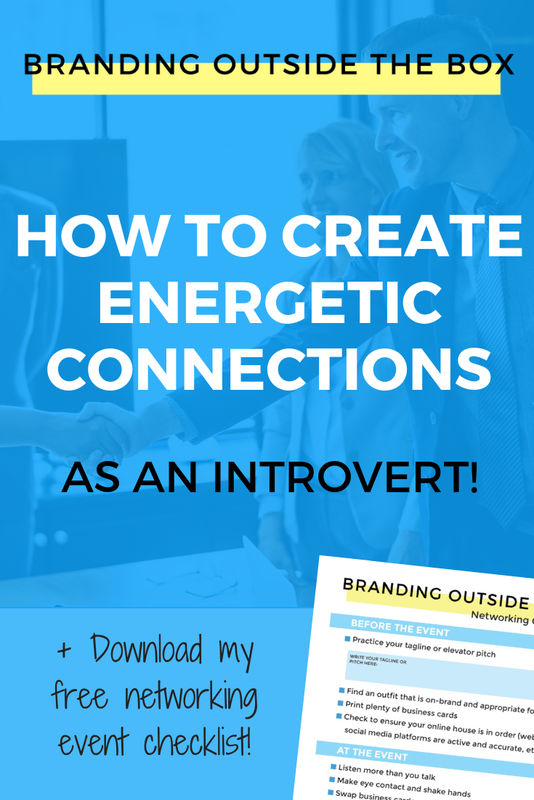 For an introvert like me, this can be exhausting, but lately, it’s actually felt…invigorating! After signing off of the webinar or leaving a coffee date, I’ve been experiencing a feeling of excitement and enthusiasm that wasn’t always there. I’m delivering new content that I’m excited about. When I have speaking gigs or online trainings with members of an organization, I’m often giving the same talk or workshop over and over again. The content is still valuable and I always bring my whole self to the talk, but no matter how much you believe your presentation, doing it over and over again causes your excitement to dwindle. It’s how I imagine Broadway actors feel giving the same performance night after night! But lately, the content I’m delivering is fresh. I developed a new presentation about how to be known in 2019, I updated the workshops for my new group of Book Launch Bootcampers, and last week, I delivered the first in a new series of webinars for Sisters in Crime. Creating new offerings is a lot of work, but, I’ve realized, it’s also energizing! I’m meeting with people who value me and see our relationship as mutually beneficial. I used to say yes a lot. Every student interested in PR, every entrepreneur wanting to “pick my brain”, and anyone who was new to Chicago and wanted a local connection, I took their meeting. However, not everyone shares my values about creating meaningful, mutually beneficial relationships. So many of these people took up my time and my energy, without so much as a thank you or a follow up. I realized that my desire to help people and cultivate community causing me to miss red flags or set inaccurate expectations. Those I’ve met with over the past few weeks are all people who see our relationship as mutually beneficial. Whether it’s a client who values the work we’re doing for them or a fellow entrepreneur who wants to brainstorm and collaborate, the people I’m meeting with aren’t just in it for themselves. Because of this, rather than these meetings draining my energy, they’re actually helping me re-charge. I’m working to stay present. We are inundated with technology at all times of the day and our schedules can be extremely demanding. And as creatives, we’re always thinking of new ideas or daydreaming. It can be hard to stay in the moment. I have found myself sitting in meetings or on calls, thinking about my next meeting or daydreaming about a new idea. Or I’d be sitting on the floor playing dinosaurs with my son, and then absentmindedly grab my phone to see if anything new came in. I wasn’t being present. When we constantly multi-task, we drain our energy more rapidly. It takes less energy to stay present. By committing to a meeting or any other face-to-face time, I am committing to being 100% present in that meeting, leaving me feel less drained and often more energized. Over these next couple weeks, I encourage you to look at your face-to-face interactions. Which ones are giving you life and which ones are taking life from you? Which meetings are you excited about and which cause you to groan when you see them on your calendar? If you have ideas about how to improve your face-to-face interactions or want some guidance from my perspective, please leave a comment below!